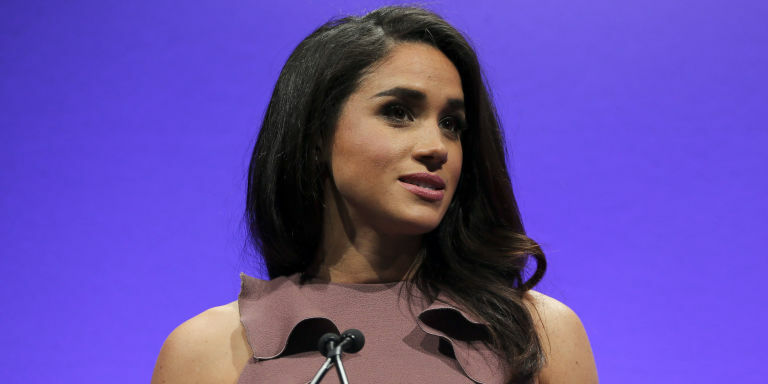 A feminist, activist (and Rachel off of Suits), here are 5 reasons why we can't wait for Meghan Markle to take the throne*. A Global Ambassador for World Vision, a relief charity focusing on clean water, Meghan has, amongst other trips, visited Rwanda to witness the effects that sanitation can have on local communities, while also maintaining a position as a UN women's advocate; supporting the likes of Emma Watson and addressing UN secretary general Ban Ki Moon and an assembly of other very important people. Of her work, she's said: "My life shifts from refugee camps to red carpets. I choose them both because these worlds can, in fact, coexist . . . I've never wanted to be a lady who lunches—I've always wanted to be a woman who works." "While my mixed heritage may have created a grey area surrounding my self-identification, keeping me with a foot on both sides of the fence, I have come to embrace that. To say who I am, to share where I'm from, to voice my pride in being a strong, confident mixed-race woman. That when asked to choose my ethnicity in a questionnaire as in my seventh grade class, or these days to check 'Other', I simply say: 'Sorry, world, this is not Lost and I am not one of The Others. I am enough exactly as I am."